The difficult life of fisherfolk drew artists to the seaside in search of elemental human stories. They found tales of suffering and courage in poor communities that seemed to have escaped the artifices of the modern world. 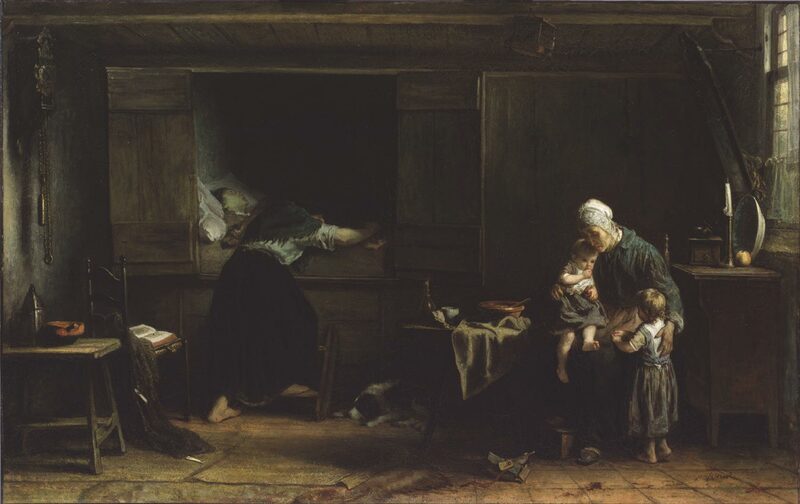 Jozef Israëls set an international example with his emotional depiction of the cycle of work and death in the villages of Holland. With fishing nets and a Bible nearby, a woman throws herself over the pale body of a man in a traditional Dutch bed; an older woman tends two children too small to understand the misfortune that has befallen the family.